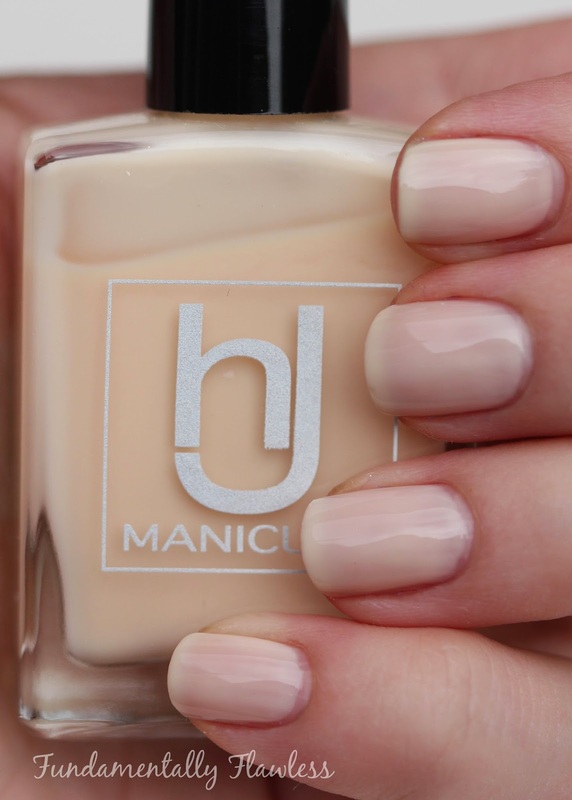 I always really enjoy the chance to try out new nail polish brands - and HJ Manicure is a prime example of a new British brand producing 5-free polishes. Currently there are 20 polishes in the range, available for £9.50 each - but you get a whopping 15ml in the rather beautiful rectangular bottle for that - and there will be more shades and a Dual Top and Base Coat added for A/W 2014. 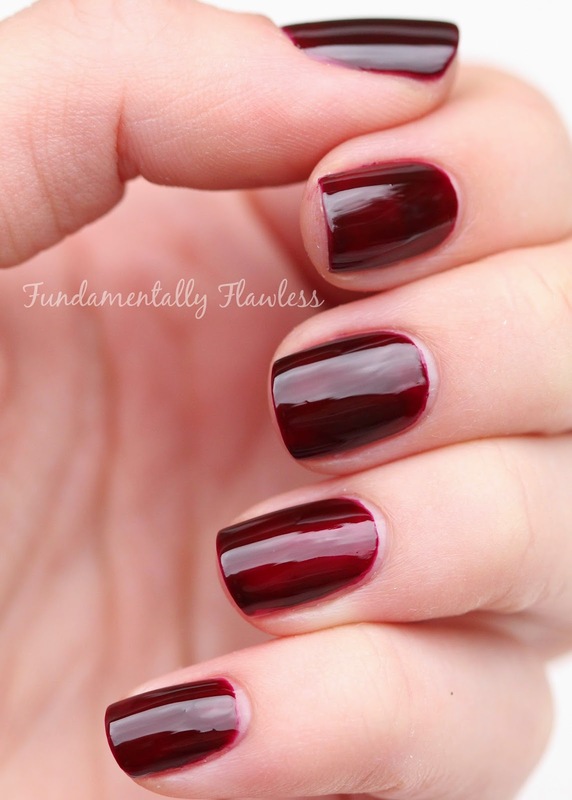 Vamp* is definitely a Chanel Rouge Noir-esque polish. 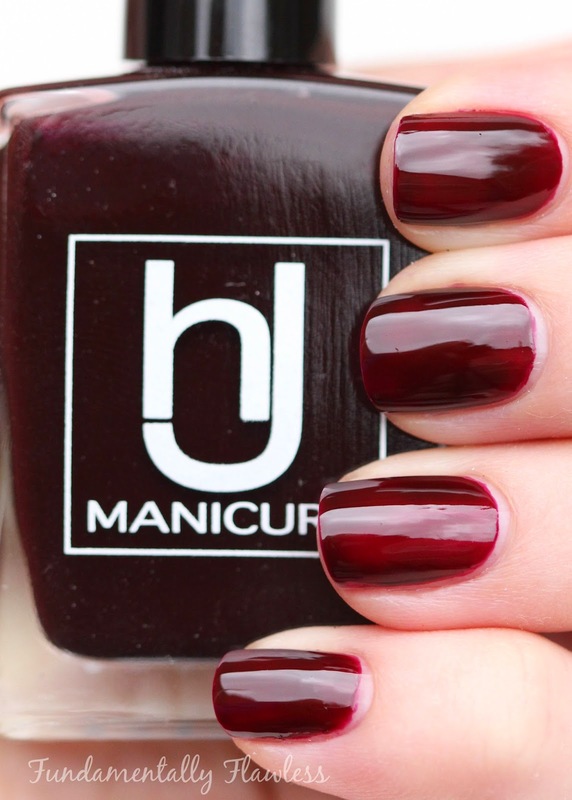 It is definitely one of my favourite colours to wear on my nails, particularly in autumn and winter, because it is sophisticated and really versatile in terms of what you can wear it with (anything, I reckon!) Vamp has a lovely smooth formula, if a little on the thin/watery side - the photos above show two coats, but as you can see from my ring finger, probably three coats would be better. The brush in the polish is super long (much longer than any other polishes I've come across) which can make it a little harder to keep steady I found. It has a really shiny finish (no top coat in photos above) and I found it had really good lasting power. Lace* is a sheer cream colour polish - it really is quite transparent - the photos above show two coats and you can still see my nail line. Three coats is a better colour, I found, but felt a bit tacky to the touch even with a quick dry top coat. It's also very smooth to paint on and has a glossy finish. I think it may just be the cream I've been looking for - not too white, not too beige and not ridiculously sheer. Overall I really love these polishes from HJ Manicure and I'm looking forward to seeing what is to come from them in the coming weeks. HJ Manicure polishes are available for £9.50 each from www.hjmanicure.com.